Splendid deserts, marvelous palaces and alluring grandeur make Rajasthan a top tourist destination. Meticulously designed Rajasthan Desert Safari tour offers exciting opportunities to create memories of a lifetime amidst the golden sand dunes of the desert state. Along with this, the well-planned itinerary gives you enough time to explore two wonderful cities namely Jodhpur and Jaisalmer. The 5 days’ tour helps you spend your day marveling at the architectural wonders while evening becomes memorable while enjoying folk music and performances under the star-laden sky. Upon arrival at the Jodhpur Airport or Railway Station, meet our tour representative who will help you with a guided transfer to one of our pre-decided hotels. Check-in at the hotel and unwind for a while. The evening is reserved for visiting the Mandore Gardens and the Balsamand Lake. Also known as the ‘Blue City’ and the ‘Sun City’, Jodhpur showcases a delightful fusion of the traditional and the modern. The abandoned town of Mandore is home to an ancient fort, cenotaphs, a small museum and an eclectic collection of temples within the Mandore Gardens. Millions of Hindu Gods are beautifully portrayed in the colorful images within the temples. Center of the attraction of the gardens is a group of 16 heroes carved out of a single rock. 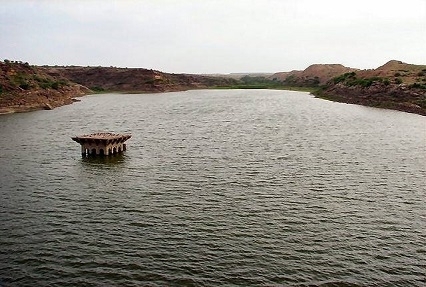 Balsamand Lake dates back to 13th century and has emerged as one of the scenic spots with heavenly aura in Jodhpur. Start the day with a hearty breakfast. 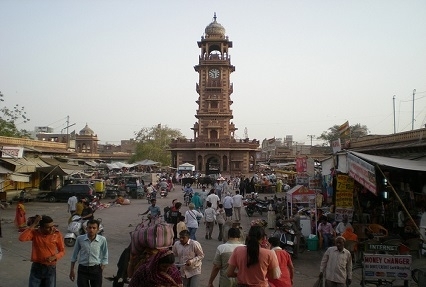 Post this, you will be taken to the Jodhpur sightseeing tour. The first attraction of the tour will be the Mehrangarh Fort. Boasting of mesmerizing architecture and cultural heritage, the fort is perched on a rocky cliff and can be seen from any vantage point in the city. Then, you will be gazing at the Umaid Bhawan Palace in Jodhpur. Located atop a hill, the luxury hotel in Rajasthan will leave you spellbound. Gaze at the awe-inspiring views from here. Later on, you will be visiting the Ghanta Ghar. A famous clock tower in the old city is also one of the most recognizable monuments in the city. After visiting the clock tower, call it a day and return to the hotel. 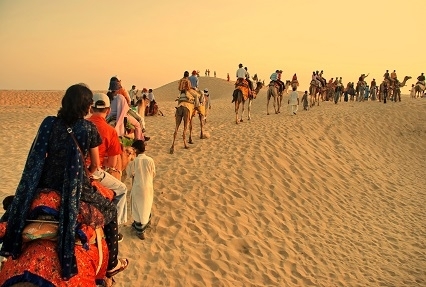 On day 3 of the Rajasthan Desert Safari tour, check-out from the hotel and enjoy a train ride to Jaisalmer. Once you reach, you will be comfortably transferred to the hotel where you can complete the check-in formalities. 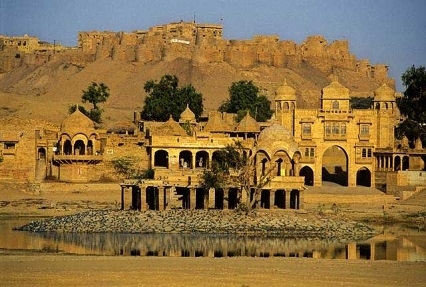 Also known as the ‘Golden City’, the town is a home to Jaisalmer state which is a popular World Heritage Site. After straightening your back, you will be taken to the magnificent Sam Sand Dunes in the evening. Sam Sand Dunes is a perfect place to witness matchless sunset views. Numerous tourists throng the place for exciting Dessert Safari opportunities. The magnificent stretch of the sweeping dunes is better explored on the back of a camel. Revel in the romance of solitude as you move deep in the hearts of the Thar Desert. 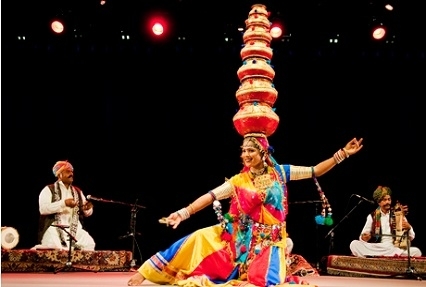 Lively folk dances and musical performances will leave a long lasting impression on you. Savor delicious breakfast and thereafter get ready for Jaisalmer city tour. The popular attractions of the city are Jaisalmer Fort, Bada Bagh, Salim Singh ki Haveli, Gadsisar Lake, etc. Counted as one of the very few ‘living forts’ in the world, Jaisalmer Fort is perched on Trikuta Hill amidst the sandy expanse of the great Thar Desert. The iconic landmark is also inscribed on the list of UNESCO World Heritage Sites. Bada Bagh means ‘Big Garden’ and houses a series of splendid cenotaphs of Maharajas of Jaisalmer. Ceilings are carved so attractively that it will render you speechless. Sunset seems magical from here. Salim Ji Ki Haveli is remarked for its distinctive architecture. The terrace of the building is construed in the form of Peacock. Besides being a scenic lake, Gadsisar Lake is an ideal place for bird watching. The lake never dries and houses several variants of the catfishes. The last day of the tour begins with a yummy breakfast. Later on, you will be dropped to the railway station or airport to catch the train or flight towards your onward destination.